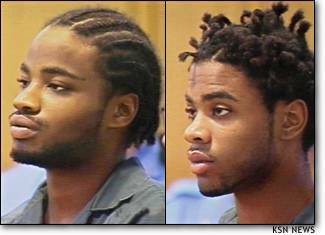 At about 11 PM on the freezing cold night of December 14, 2000, Reginald Carr, 23, and Jonathan Carr, 20, invaded the home of three young Wichita men who had two female guests. The Carr Brothers forced all of them to strip naked. They beat the men and raped the women. The four friends who died were: Jason Befort, 26, an Augusta High School science teacher and football coach; Brad Heyka, 27, a director of finance with Koch Financial Services; Heather Muller, 25, a St. Thomas Aquinas pre-school teacher who planned to become a nun; and Aaron Sander, 29, a former Koch employee who had decided to become a priest. The Carr Brothers are African-Americans. All of their victims, including Ann Walenta, 56, a cellist with the Wichita Symphony Orchestra, who was shot and died from her wounds a month lateer, were White. However, according to District Attorney Nola Foulston, " the fact that the defendants and victims happen to be of different races has no bearing."